Lynda has devoted the past two decades of her career to helping men, women and families transition from housing crisis to housing stability. As Executive Director of Housing Forward since 2001, Lynda has led the formation of a comprehensive solution to homelessness. Her leadership has enabled the agency’s growth from a $450,000 a year shelter provider to a $8.5 million agency offering a full continuum of housing, services and prevention programs in addition to safety-net services. Over the years, she has formed numerous collaborations whose expertise and resources have guided hundreds of Housing Forward clients on their paths toward self-sufficiency. Lynda is a founder and current board member of the Alliance to End Homelessness in Suburban Cook County and a founding member of the Oak Park Homelessness Coalition. She has received awards of recognition for her advocacy and service work from the Chicago Coalition for the Homeless, Housing Action Illinois, West Cook Y, the Community Mental Health Board of Oak Park Township, the Maywood Chamber of Commerce and named a Paul Harris Fellow by the Oak Park Rotary. She has Masters Degree in Public Administration from Northern Illinois University and a Bachelor of Science Degree from Illinois State University. Jane Houle comes to Housing Forward with over three decades of experience in accounting and financial management. Most recently Jane was Consulting Manager for the nonprofit practice at Net@Work, coordinating the support and training of over 500 organizations using the Abila MIP accounting software. She was also a founding partner and senior advisor with 1st Choice Advisors, a software consulting focused on nonprofit organizations. She has also served as acting CFO for a number of nonprofits in the Chicago area and spent 5 years on the financial staff of a social service agency. Jane has a BBA from Western Michigan University and an MBA from DePaul University. She has been an active volunteer with organizations in the Chicago area serving youth, fair housing and the economically disadvantaged in her community. Jane’s experience as a nonprofit employee, manager, volunteer, board member and outside consultant give her a unique perspective in assisting organizations with their financial reporting needs. Armando Smith, Director of Operations & Client Services, is responsible for providing leadership, direction, and oversight of Housing Forward's integrated service delivery system through six program areas – housing, services, employment, prevention, shelter and outreach. Armando has more than 35 years of leadership and counseling experience with prominent social service agencies such as The Night Ministry, Teen Living Programs and AIDS Foundation of Chicago. Most recently, Armando was Associate Director of Healthcare Clinical Operations for Vital Bridges, a division of Heartland Health Outreach. In that position, he was responsible for all program operations, quality assurance and improvement, outcome measurement and budget management. He is a part time staff at the Cathedral Counseling Center. He is a Licensed Clinical Social Worker and a member of the National Association of Social Workers. Armando, a native of Panama, is fluent in Spanish. As the Director of Development and Communications, Janet leads the development team and works with the Executive Director in support of the agency’s fundraising efforts through multi-channel initiatives including major gifts, corporate and foundation relations, local and federal funding grants, individual donors, special events and board outreach, as well as direct marketing and communications. Janet has raised funds for non-profit agencies in many capacities for more than 20 years. Prior to joining Housing Forward, she was a Corporate Relations Senior Officer at the American Cancer Society and a Development Executive for Jobs For Youth, an organization that provided job-readiness programming to help young adults gain employment as well as a Development professional with City of Hope, a cancer research hospital. Janet has dedicated her career to fund organizations that inspire others, support and give to those most in need, and in doing so, create great legacies. 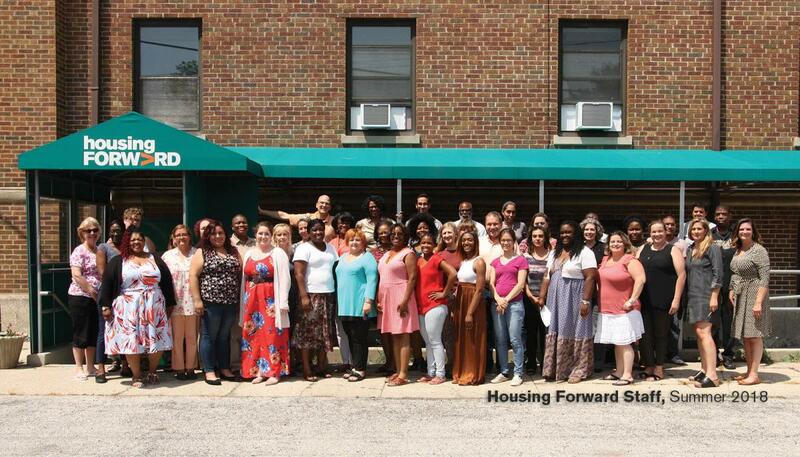 The “Friends of Housing Forward” advisory committee is an energetic team of Housing Forward supporters whose purpose is to develop and gather resources that aid in the implementation of Housing Forward's vision. The Associate Board is an innovative group of young professionals who are committed to further the friend-raising and fundraising efforts of Housing Forward.